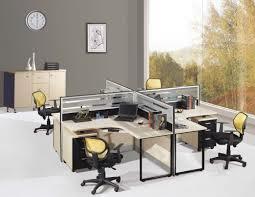 If you’re looking for home office furniture – chairs in particular – you might not know where to begin. This is because there are a number of options available that we’ll discuss now. When it comes to ergonomics, this chair is at the top of the list. No wonder it is one of the most popular chairs in offices across the world. You have to invest in the flagship model in order to get all the features that are already on the Leap or Ergohuman. Yet it is both comfortable and stylish. But it is, by far, the most expensive of the lot. This chair is perfect for those with back or spinal injuries. In particular, anyone sitting for 8 hours or more a day should consider this chair. Simply put, it will fit your body like a glove with the way it has been designed. It’s as comfortable as it can get and an excellent choice, from an ergonomic standpoint. This chair is very easy to setup. In terms of intuitiveness, this chair is a cut above the rest. Even though it isn’t as durable as the Ergohuman, it is still an excellent addition to your home office. It is a bit expensive gives its focus on styling and customization. That said, it is still a decent buy for anyone who isn’t price-conscious. This chair is a third of what it costs the other chairs but offers the same features. The Air Grid is considered to be the most ergonomic chair available in the $600 range. No matter what, experts think that this chair is an excellent buy as it not only matches but exceeds the standards set by most chairs.